Product Consists: 1 kg Eggless Fresh Fruit Cake. Fruits are good for health, don''t you agree. If yes then try out these slices immersed in white truffle & fresh cream. Your love for fruits will surely turn into a passion. 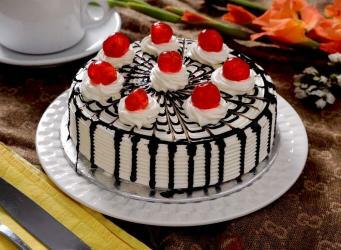 We bring to you this mind blowing mix fruit flavored cake in round shape that is bound to make special occasions extraordinary. 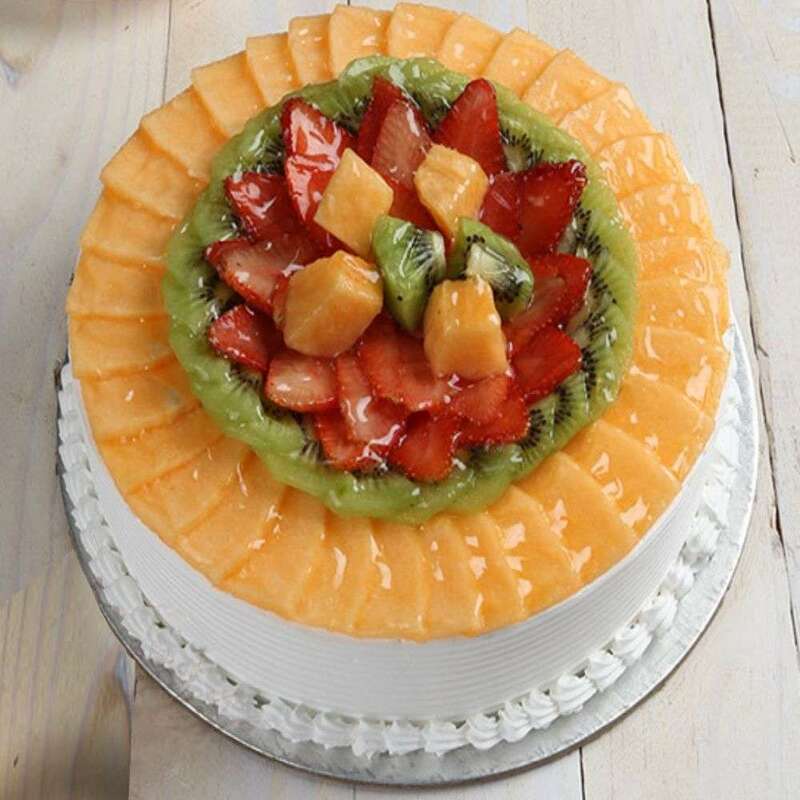 Celebrations become all the more delightful when treats like this 1 kg Eggless Fresh Fruit Cake are included. This cake is loaded with lots of whipped cream, orange sauce and slices of fresh seasonal fruits. 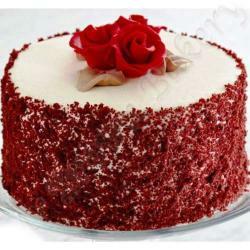 Giftacrossindia.com ensures doorstep delivery of cakes. 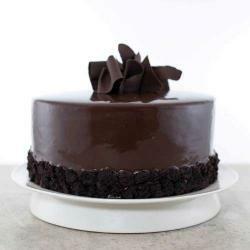 So, you can easily send it online to your loved ones on their special occasions, and amaze and please them. Just place your order now. 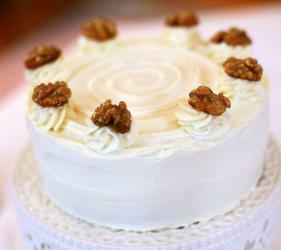 Product Includes: 1 kg Eggless Fresh Fruit Cake from Five Star Bakery.